Flights to Seville take off from March 26, 2018 operating twice a week throughout the summer season. Flights to Jersey take off from March 31, 2018 operating twice a week throughout the summer season. In other news, the company wants to more than double the number of passengers in Germany to 18 million in 2018. This goal comes after taking over the former Berlin Tegel operations of Airberlin. Copyright Photo: easyJet (UK) Airbus A319-111 G-EZDR (msn 3683) ZRH (Rolf Wallner). Image: 937114. 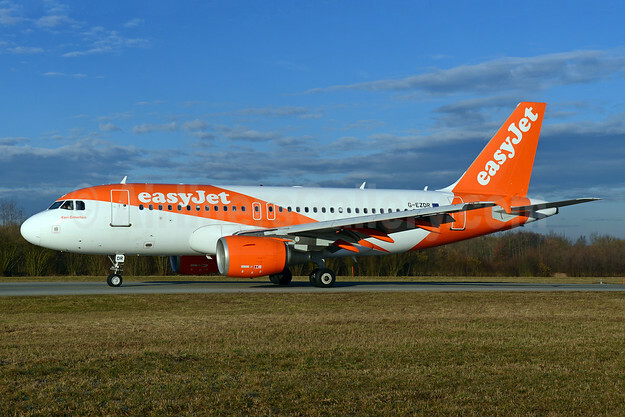 This entry was posted in easyJet (UK) and tagged airbus a319 111, easyJet, easyJet (UK), G-EZDR, msn 3683, ZRH on January 8, 2018 by Bruce Drum.